Ando challenged himself to create a noodle that was durable but also tasty. Like Edison trying out different filaments for his electric light bulb, Ando spent months experimenting with the recipe. It took a year before he realized that the answer to his conundrum was flash frying the noodles. “This method not only dehydrated them,” explains the narrator, “it left small perforations that allowed the noodles to re-cook quickly.” So there it is, the mystery of Cup Noodles and Top Ramen laid bare. 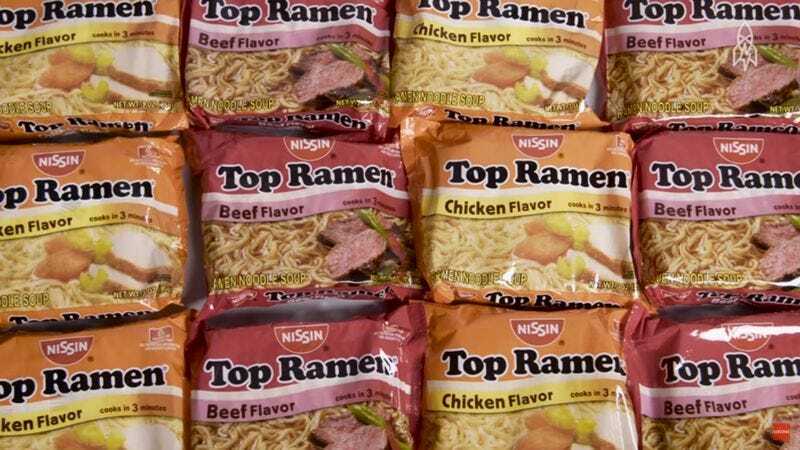 Left unresolved, however, is the mystery of ramen flavor packets and how a small foil envelope of powder can somehow make freshly boiled noodles taste somewhat like shrimp.